Jim Riccardi, Mike Gelinas, JT and Peter O’Neill Jr shot a 5 under 64 at Pawtucket CC to win team gross honors. caddies could plan to be available. and the state amateur and open events. As an “A” Caddy, you would expect good players and good compensation. Pawtucket Country Club had some of the best players: Norm Lutz, Les Kennedy, Lenny Jenard, Walt Tansey, Don Pilkington, and Jack McDermott. I once caddied for Joanne Carner. JT shot 73 last year and the year before Norm Lutz shot a 74. 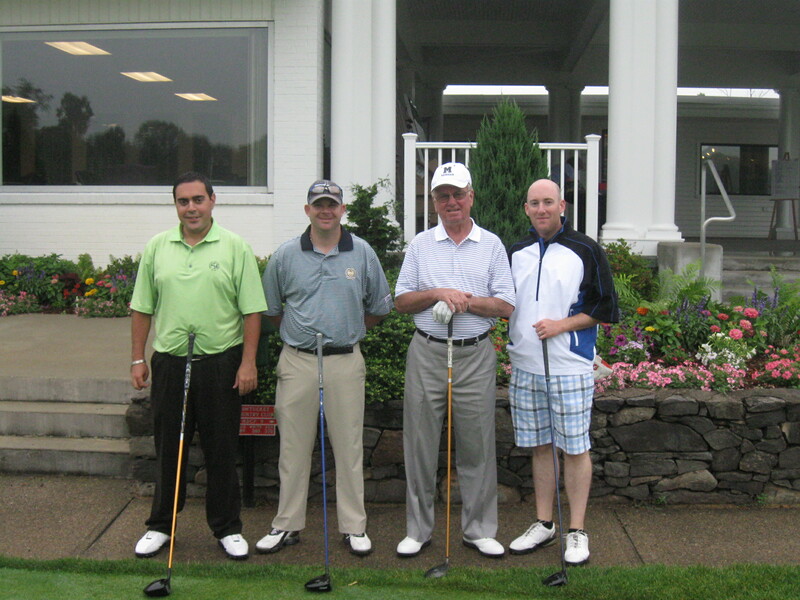 Bob Kando shot his best round a few years back with a 73. Sign up early. It helps to know how many will be playing. The Caddy Classic will be held Monday morning July 1 at Pawtucket Country Club with four man teams playing a best ball with a gross and net team competition. There will also be net and gross skins games with a luncheon immediately following the tournament. Entry fee for the JT Classic is $125 made payable to Jim Tanner Caddy Classic and should be sent to my attention: Rodney MacKenzie 1 Park Drive North Smithfield RI 02896. Pawtucket Country Club members can sign up in the proshop with Mike Gelinas. You can make your own foursome or can sign up by yourself or with other members or guests and the committee will make up a foursome for the event. You are encouraged to sign up early so that you will be included in this exciting event. Entry fee includes golf, cart, food and prizes. There will be a raffle ($20 for 5 tickets) and optional gross skins game ($10). You are welcome to donate prizes for raffle and auction and personal donations made payable to Jim Tanner Caddy Classic. All Donations will be recognized in the Jim Tanner Caddy Classic program.